Avis and Brian Muir have what seems like it should be a happy life. They live in a big house in a wealthy community in Miami. Avis has a job that she loves. Brian has a job he at least likes, and one that more than pays the bills. They have two lovely and intelligent children. When their daughter Felice runs away at thirteen, though, the entire family falls apart. Now, five years later, they have fallen even farther, even as they continue to hope that they may someday because a “real” family again, whatever that might mean. Abu-Jaber is extremely skilled at getting inside her characters heads, going so far as showing the reader the neurosis of which the characters themselves may not even be aware. 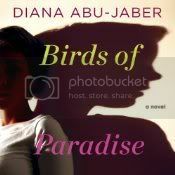 In Birds of Paradise, she manages the often difficult task of fully fleshing out all four members of the family, making each of them seem real, bringing to life their hopes and their foibles. Felice’s storyline is particularly interesting. Although the secret that drove her to running away is relatively easy to guess, it is believable, even logical by the standards of her young teenage self. This is where Birds of Paradise fell apart for me. Marston seemed more like she was reading Abu-Jaber’s text than like she was narrating or performing it. She had a great command of accents – a necessity for the multicultural world in which the Muirs live – but there was little to no passion in her voice, which is somewhat of a problem in a book with such deep emotions from its characters. Also, she had an incorrect and obnoxious pronunciation of the state Oregon that just pulled me right out of the book and annoyed me every time she said it. Marston’s narration really detracted from the potential power of Abu-Jaber’s story. Be prepared to become emotionally involved in the lives of the Muirs if you pick up Birds of Paradise, but for full effect choose print. Thanks for the heads up! I read Abu-Jaber’s memoir, The Language of Baklava, over the summer and really enjoyed it. Was considering this one next, but will be sure to choose the print version. We met her at SIBA this year and she was incredible…funny and real and someone you would just want to hang out with. She told me that the audio won some awards, so that was the way I was going to go. Bummer that it didn’t work for you. Now I’m going to have to rethink. She said it won awards? That confuses me since it has only been out for a month and wasn’t very good. I met Abu-Jaber at SIBA and when I went to get her autograph she told me that we’d met before. I was so flattered that she remembered me and embarrassed that I didn’t remember her. I’m anxious to read this book! 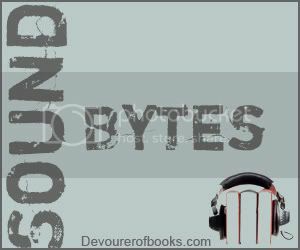 I think I went overboard on reviewing audiobooks this week! LOL!